The famous Indian spinner, Harbhajan singh has praised the talent of new Australian slow bowler, Nathan Leon who is carrying on the art of off spin. 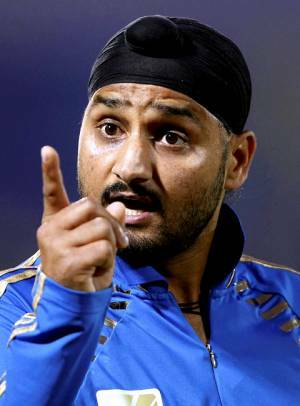 Harbhajan has predicted he will be assessed in the series against India which will be a real battle for him. Nathan Lyon Entered in the cricket arena as a curator while focusing himself to bring in to the lime lights as a cricketer. Australia was in dire trouble after the retirement of its great leg spinner Shane Warne and selectors tired almost ten spinners to fill his gap. The 24-year-old was impressive in the domestic scene and instantly got inducted against Sri Lanka in the first Test at Galle, on August 31, 2011. He was one of the luckiest bowlers to get a wicket on his first ball once he got rid of Kumar Sangakkara caught by Michael Clarke on 10 runs. He clinched five wickets in the first innings and one in the second as Australia won the match by 125 runs. Lyon was the second highest wicket Taker in the recently concluded series against the visiting New Zealand squad. The home side won the first Test at Brisbane on December 4, 2011, by nine wickets and the Black Caps won a thriller at Hobart on December 13, 2011, with a narrow margin of seven runs. The series was dominated by the speedsters as James Pattinson of Australia became the highest wicket taker with 14. Lyon was influential in assisting the home side while standing second to Pattinson by grabbing 10 wickets at an excellent average of 12.60 runs per wicket with the best of 4 for 69 in an innings and 7 for 88 in a match. 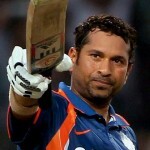 India is a better equipped side against spin as compared to New Zealand and Lyon has to craft his plans against them. The visitor’s armory has a battery of world class batsmen with the likes of Virender Sehwag, Rahul Dravid and the matser blaster Sachin Tendulkar. They will appear as a wall against spin and by overcoming strong batting his career will find an upward trend. 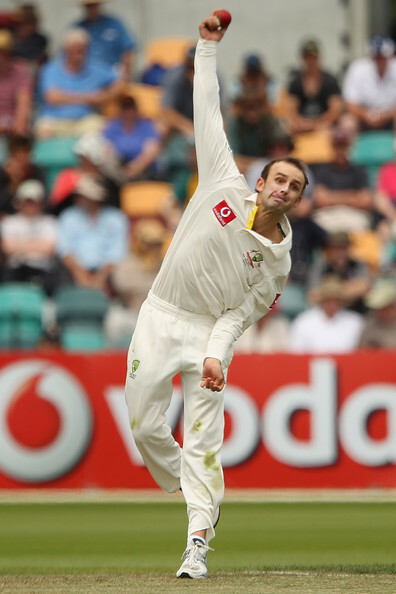 Nathan Lyon has played seven Tests and claimed 22 wickets averaging 24.59 runs per wicket, the best of 5 for 34 in an innings and 7 for 88 runs in a match. The right hander has a bright future ahead of him and the entire Australian camp will anticipate his happy hunting against the forthcoming series against India. The first Test will be played at Melbourne Cricket Ground, on December 26, 2011, and Harbhajan will also be watching Lyon bowling closely.